The Newsmith bread pattern former is designed for the high speed loading of bread roll products into distribution crates. Category: Automated Handling. Tag: bread pattern former. 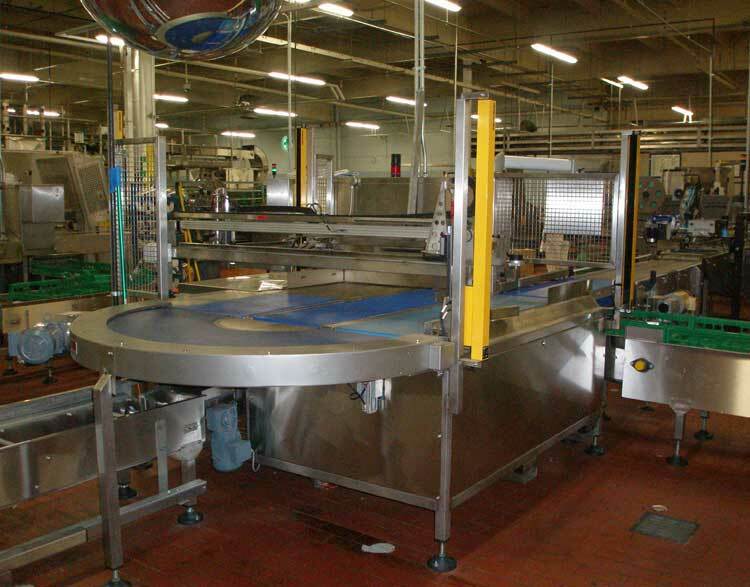 The Newsmith’s Bread Pattern Former & Basket Loader is designed for the high speed loading of bread and roll products into distribution crates or baskets. The high speed bread pattern former & basket loader has been designed to create basket patterns for loading a wide range of products into baskets or trays. The basket loader / pattern former can handle 85 packages per minute and organize product orientation into the most complex of patterns. The basket loader / tray loader can be integrated into Newsmith product and crate conveying systems to provide a complete handling and packaging solution, the Newsmith basket loader / pattern former is designed for gentle, efficient handling and built to ensure robust reliability.